You have attracted EVERYTHING you are experiencing in your life. You can learn to attract only what you truly want. You need to become CONSCIOUS and AWARE that each experience holds a spiritual lesson for you. You can develop skills and improve in the areas where you have not-so-good habits that cause you to keep coming up short. You can develop your psychic sensitivity to a very high level so that you can rise above the negativity and pressure around planet earth and be the REAL YOU. You can learn very Practical Ways to use your four psychic gifts of Intuition, Vision, Prophecy and Feeling to improve your life in all areas including communication, abundance, relationships, health, goals and success. You can have all the abundance you desire. There are no limitations. An abundant life includes financial freedom, an abundance of happy relationships, inner peace and accomplishment. The 3 CRITICAL phases you must go through to reach every goal you set – no matter how big or small the goal is. Ways to set goals so that you are AWARE of POTENTIAL SUCCESS and possible pitfalls before you even begin. 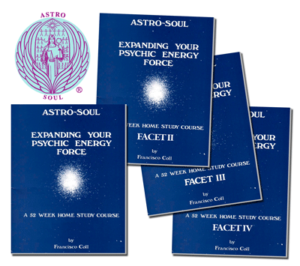 How to EXPAND the force of your Psychic Energy through all four of your psychic abilities. How to ENHANCE the Positive Qualities of your Four Psychic Gifts and use ALL FOUR GIFTS to manifest your goals. CHANGE your perspective of your daily life experiences so you can TRULY GROW as a person – instead of feeling stuck. Discover practical ways to use the power of your Psychic Energy Force to improve your life immeasurably. Raise your AWARENESS of being a spiritual being living a psychical experience. See how changing your thoughts, feelings and actions can truly change your physical experiences. Become very confident in communicating with your team of guides and using their help in a very practical way. 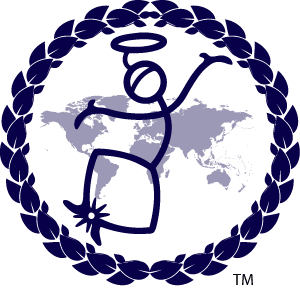 Your team of master souls will be with you guiding you through each step of the program. As a result, you will DEEPEN your communication with your helpers and learn practical ways to obtain their help and suggestions on any challenge you may face.